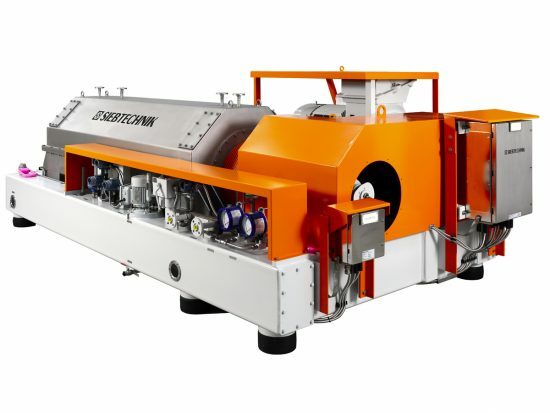 The TURBOSCREEN screen decanter is one of the most advanced developments in solid-liquid separating technology and has considerable design and technical process advantages over the well-known centrifuge designs. On solid bowl screen centrifuges used up until now the screening section is connected to the small diameter of the solid bowl cone and is dimensionally identical. 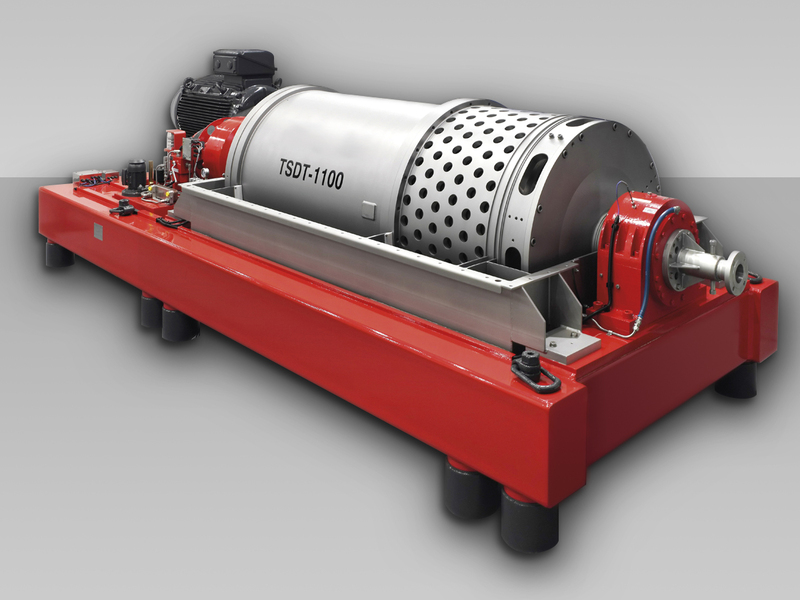 This design arrangement has the disadvantage of offering a small volume and so a high solids capacity with reduced centrifugal force in precisely the dewatering section of the centrifuge. 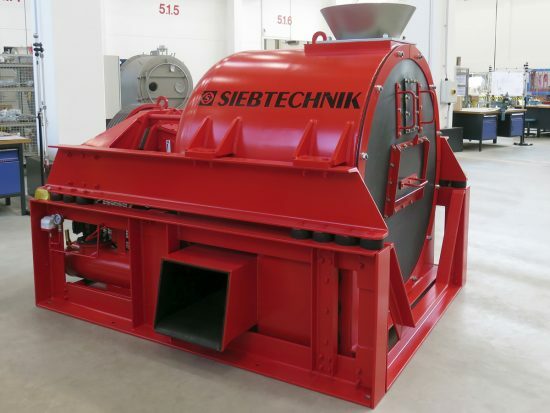 The SIEBTECHNIK TURBOSCREEN screen decanter is a combination machine consisting of a solid bowl in the product feed zone and a screen bowl fitted downstream. The solid materials are separated by means of sedimentation in the solid bowl and thickened. 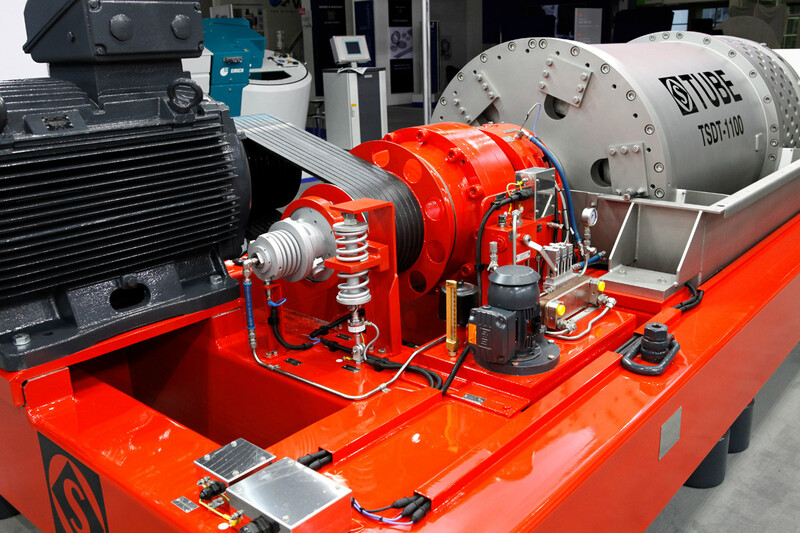 As a result, the product can be washed and dewatered up to the mechanically separable dewatering limit. The special construction with a large-dimensioned screen bowl and support at both ends enables high centrifugal forces and long dwell times. 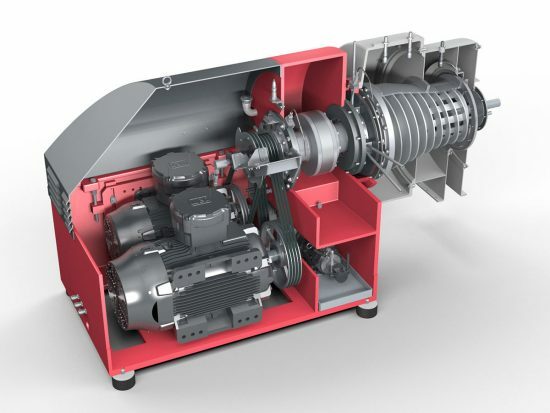 This enables slow-settling solids to be well separated, then washed and dewatered up to the dewatering limit. The second stream of liquid is drained off through a separate liquid drainhole. 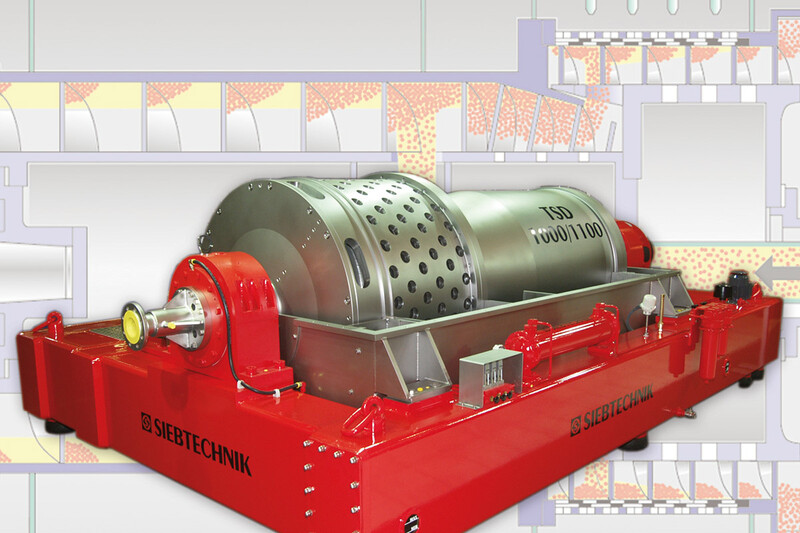 All SIEBTECHNIK TURBOSCREEN decanters are individually adapted to suit product conditions and systerm requirements. In the TURBOSCREEN the advantages of the solid bowl centrifuge and the screen centrifuge are optimally combined in two work stages. In the first process step the solid matter is pre-dewatered on the bowl cone in the solid bowl centrifuge section. The filling volume of the bowl and so the length of the drying section can be steplessly adjusted by means of a weir plate. The clarified liquid is decanted off over this weir plate. The pre-thickened solid is discharged over a discharge edge into a much larger dimensioned screen bowl fitted downstream. Here at the second work stage the solids cake is broken up and redistributed with a lower head of material proportional to the larger volume capacity. At the same time the solids cake is subjected to considerably higher centrifugal forces proportional to the large diameter, whereby the filtering out of the residual liquid is made easier. 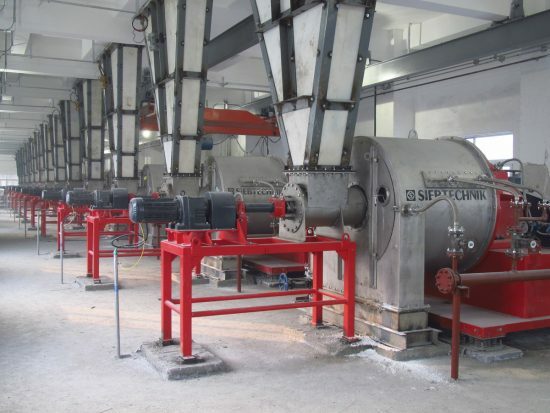 Because with the well thickened solid matter only comparatively little liquid passes into the screening section, the carry-over of very fine grains through the screen bowl is small and because of recirculation into the centrifuge cannot be rated as a loss. The generously dimensioned screen bowl with the low solid matter content is likewise especially suited for washing. Here the washing liquid is drained off separately from the mother liquor.